Although born and raised in Salt Lake City, the beauty and comfort of Southern Utah is nothing new to him. He received his Associates Degree at Dixie State College, where he was a member of the baseball team and served as the Vice-President of the Ambassador Organization. He furthered his education at Southern Utah University, where he received a Bachelor Degree in Public Relations and a minor in Piano Performance. 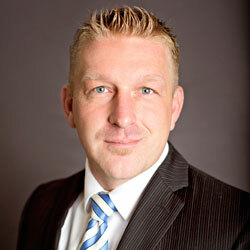 Brandon brings nearly a decade of real estate experience to NAI Excel. He has extensive knowledge and experience in the local real estate market, and has worked as an advisor to several companies as their broker and real estate consultant. His experience in negotiating, deal structuring, analytical skills, and marketing are of great benefit to both NAI and his clients. His marketing expertise, out of the box thinking, and vigor helped win the national O’Reilly Auto Parts disposition account after they merged with Checker Auto Parts. He was commissioned to be the disposition manager and compiled a team charged with selling and leasing their excess commercial real estate after all over the country. He has been recognized as Rookie of the year, and multiple times for closing “the “Deal of the Year” including a $6m land and building exchange with Peterbuilt and Wheeler Machinery, as well as an 88,000 SF 6.8 Acre T.J. Maxx anchored shopping center in Southern Utah. Prior to joining NAI, Brandon had several years of experience owning and operating several small businesses, and working as a marketing manager throughout the United States.